Arm ball is a quicker or faster delivery in a off break or left arm spin bowling which actually skids on into the batsman with out much turn after hitting the pitch. 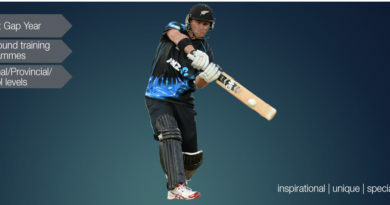 Well it is a delivery where the arm plays the major role rather than the spinning fingers in skidding the ball after hitting the pitch. This is the reason why we don’t see much spin from this kind of ball, after hitting the pitch. 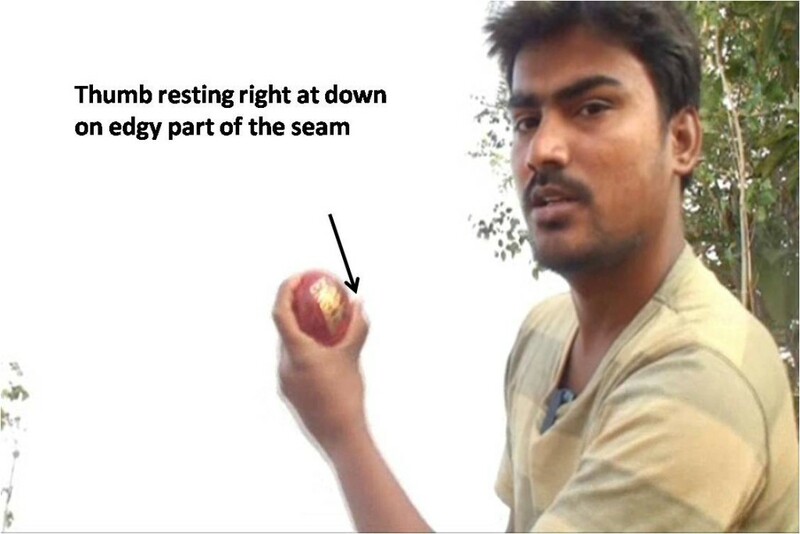 So how to bowl this kind of Arm ball ? 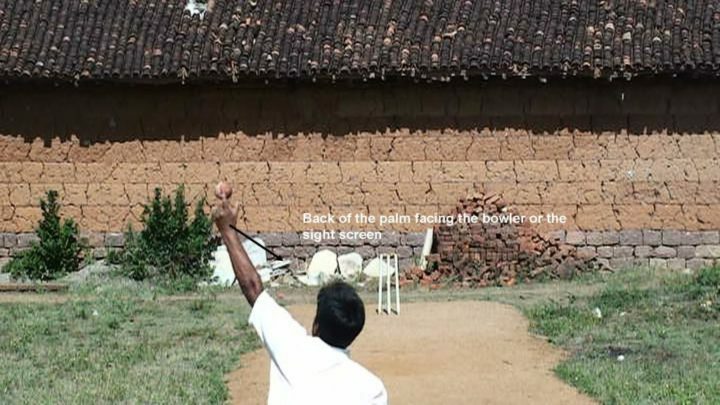 To bowl this kind of arm ball the bowler needs to concentrate on some of the important things like gripping the ball, position of arm, position of wrist and rotation of the ball. 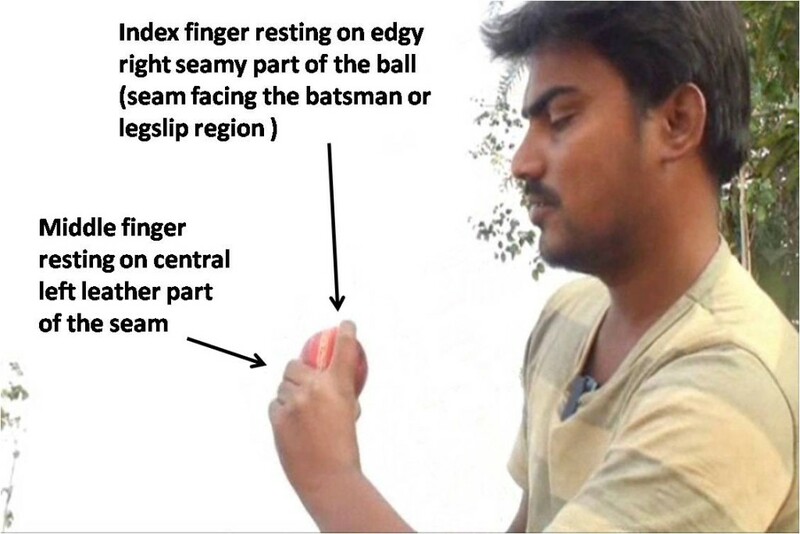 The grip should be in such a way that the direction of position of seam should be facing the batsman or leg slip region, the index or spinning finger which plays the major role in spinning the ball in backward direction should be rested on edge of right seamy part of the ball, the middle finger which plays the supporting role should be rested on left central leather part of the seam, and finally the thumb which should be always switched on right at down on edgy part of the seam. And the grip shouldn’t be tight or lose it should be comfortable, to get the comfortability in gripping the ball the bowler needs to rotate or exercise the ball frequently by spinning it in backward direction when ever he gets the time, in fact between delivery to delivery you often get some time, this time is mostly used for these exercises to get comfortable rhythmic grip. To bowl this kind of arm ball the position of arm has to be raised at an angle of atleast 60 degrees or more than 60 degrees, the reason to follow this application is, it simply ensures the back of the palm to face properly towards the sight screen or the bowler, which actually becomes the key in using the power of arm in better way, that is when you basically skid the ball from front of your hand. 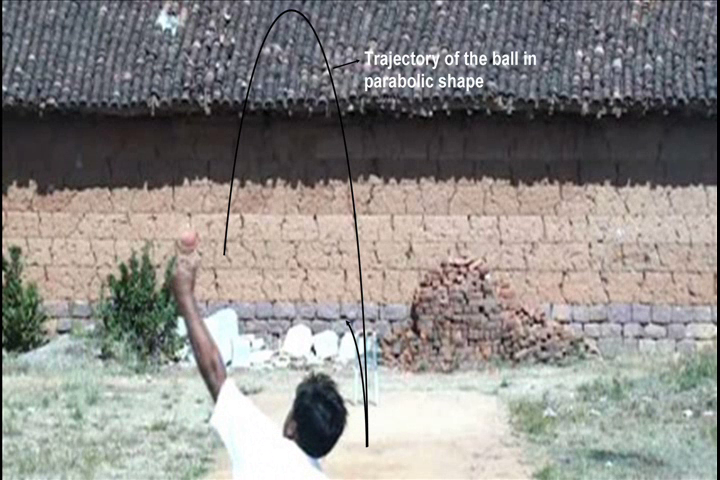 Here in arm ball the fingers will not play a major role since you are not going to spin the ball from right to left in vertical slant up direction as we do in classical left arm spin, here the arm with the support of index finger will play a major role in pushing the ball with lesser flight from front of the hand. 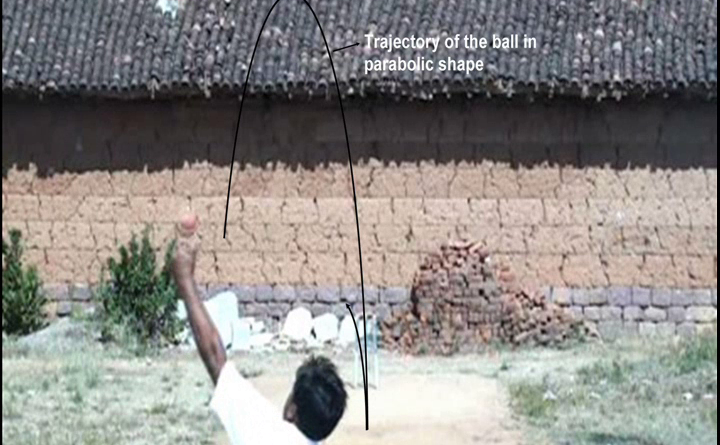 The trajectory of the ball in classical left arm spin will be in a parabolic shape where as here in arm ball the path of the ball will not be in a parabolic shape, it will be little bit in flatter with lesser flight. 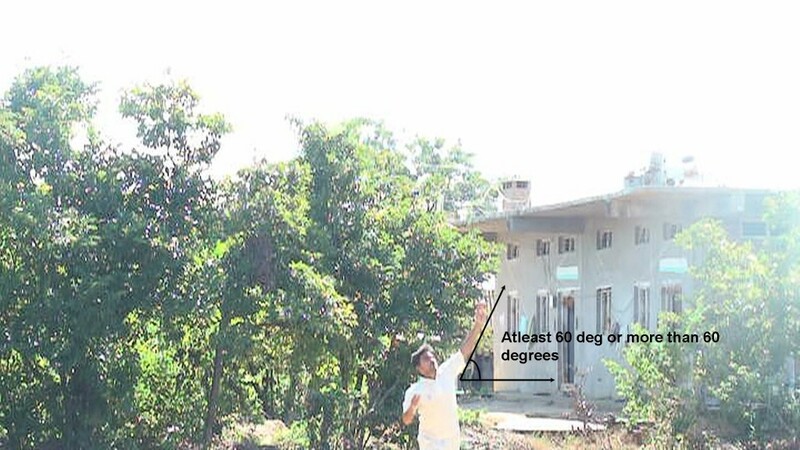 To get the maximum usage of power of arm the position of arm has to be atleast 60 degrees or more than that, and with back of the palm has to face the bowler or sight screen. 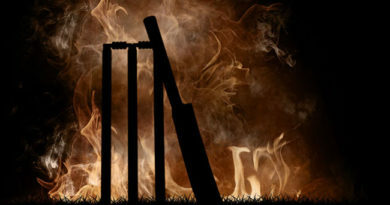 The co-ordination of power of arm, wrist position plays the major role in rushing the ball into the batsman from front of the hand with the help of index finger trying to rotate or spin the ball in backward direction along with the seam facing towards the batsman or leg slip region. 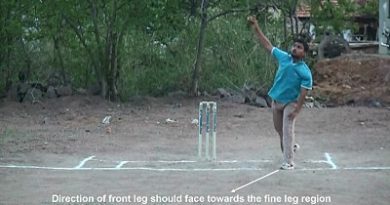 And remember that don’t try to bowl too flat since the batsman can recognize it as a arm ball, therefore there must be atleast some flight so that the batsman can get confused it as a normal classical left arm spinning delivery.